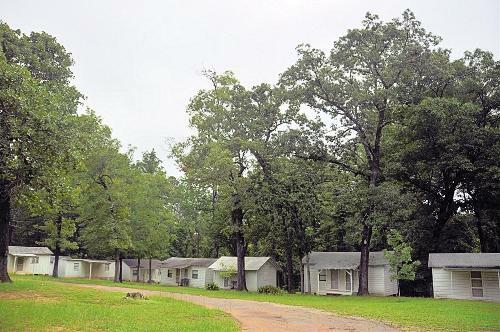 The community was originally named (perhaps as a joke reference to well-known Longview) as Shortview, Texas. It is listed as both a community and religious site. The building of a Baptist church in 1876 called for a more respectable name for the community. 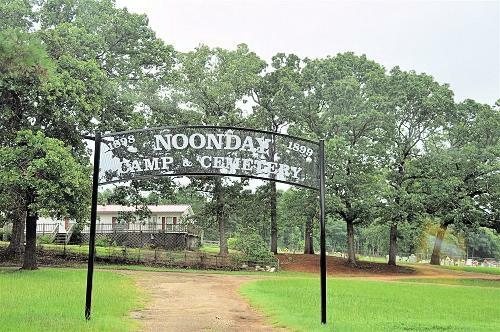 Since the meeting to choose a new name was scheduled for noon – the naming committee wasted no time choosing “Noonday.” While it is not documented, it can be assumed that once business was taken care of, the committee adjourned for lunch. 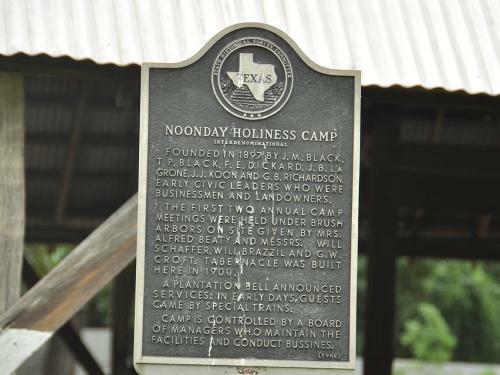 In 1897, in a reversal of religious evolution, the 11 year-old church was succeeded by the Noonday Holiness Camp. In 1900 a tabernacle was built. Growth was not on the town’s agenda and it treated the 10s, 20’s and 30’s all the same. Even after WWII, the community had only two businesses – and no population figures. 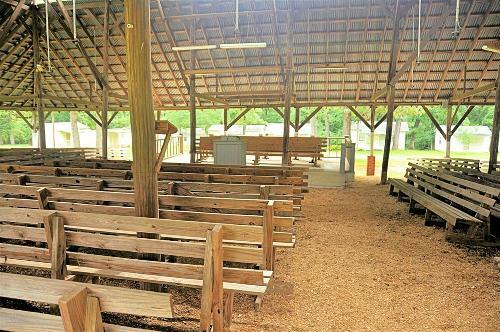 The tabernacle remains in place in 2010 as do the small white cabins that served the congregations out-of-town members and visitors. See also Noonday in Smith County. Founded in 1897 by J. M. Black, T. P. Black, F. E. Dickard, J. B. LaGrone, J. J. Koon and G. B. Richardson, early civic leaders who were businessmen and landowners. 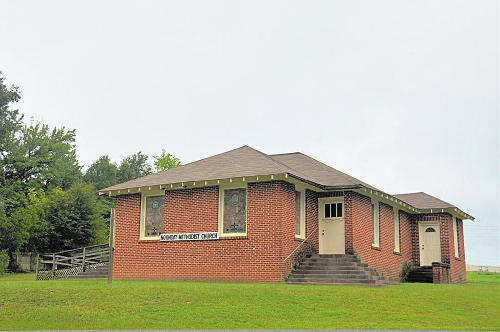 The first two annual camp meetings were held under brush arbors on site given by Mrs. Alfred Beaty and Messrs. Will Schaffer, Will Brazzil and G. W. Croft. Tabernacle was built here in 1900. A plantation bell announced services. In early days, guests came by special trains. 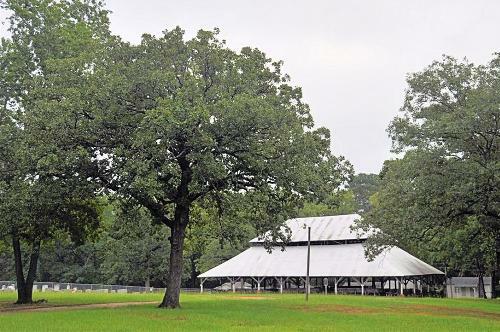 Camp is controlled by a board of managers who maintain the facilities and conduct business.